WASHINGTON, DC—Bright and quite early in the morning after the D.C. Women’s March, 500 women considering seeking political office attended a “Getting Ready to Run” training at the Grand Hyatt Washington hosted by EMILY’s List, by far the largest training event in the pro-choice PAC’s 31-year history. EMILY’s List was founded to elect pro-choice Democratic women to political office at the local and national level, and has helped carry 23 women into the U.S. Senate, including recently-elected Senators Kamala Harris (California), Tammy Duckworth (Illinois), and Catherine Cortez Masto (Nevada). (Jezebel recently partnered with EMILY’s List on an inauguration panel.) 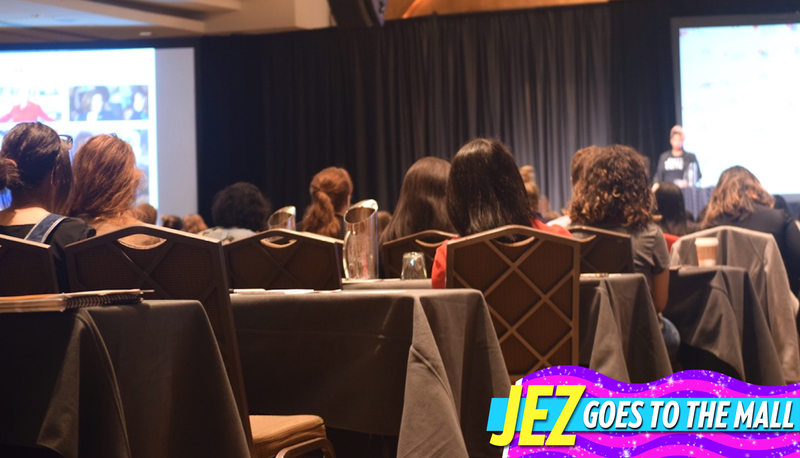 Sunday’s training, which included breakout sessions, Q&As, and an address from Rep. Pramila Jayapal, teased out misconceptions about barriers to office—being single, being a mom, not having a world-class education—and emphasized local elections. The slogan “if we’re not at the table, we’re on the menu!” was repeated a number of times. “The state and local offices, ladies, are going to be ground zero for this nonsense,” said Muthoni Wambu Kraal, the group’s senior director of state engagement and development, noting the GOP’s control of a record number of state legislative chambers. Kraal, a powerhouse speaker, worked to corral the energy of the previous day’s march. “You are not crazy for thinking that you should run for office after this election that you just witnessed,” she said, to loud cheers. “We know that women run for office because they’re angry or they want to fix something—watch out for the woman for whom it’s both. There was a driving sense in the room that we’re just going to keep pushing on, even in the face of the disturbing and persistent impression that it’s not just progressive values that are under attack, but American democracy itself—along with the norms and strictures that have traditionally policed its institutions. At one point, a list of “Key Must Haves” for potential candidates included a number of characteristics (“likes people,” “integrity,” “skin that can thicken”) that don’t seem to have mattered in the case of our current president. The baseline fact that a prospective public servant ought to exhibit such qualities, however, is more glaringly prominent than ever. “We have some reporters here today,” Kraal announced at one point, as the audience turned to look at the press section. “Isn’t it nice to be greeted and respected?” she asked us. The room erupted into applause. But How Are Things Going In Antarctica?